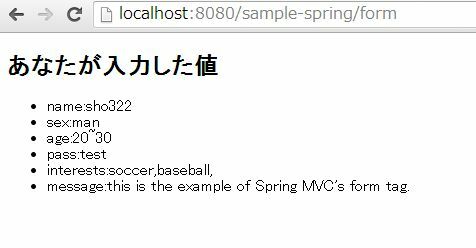 I'll introduce how to use the form tags on Spring MVC. This controller to handle the form values. This store the forms value. 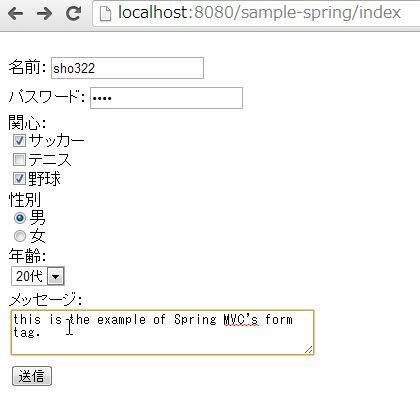 A JSP page to show the use of Spring's form tag. The value of this, will catch by the controller. The getting requested method of controller is form() method. 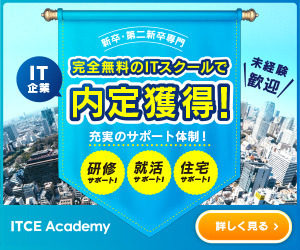 A JSP page to show the result of getting the form value.